– Prep your eggs. 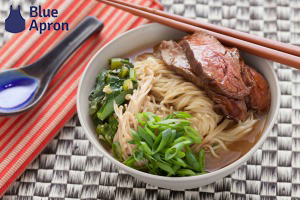 Boil them, or blow out the yolk for a more permanent decoration. 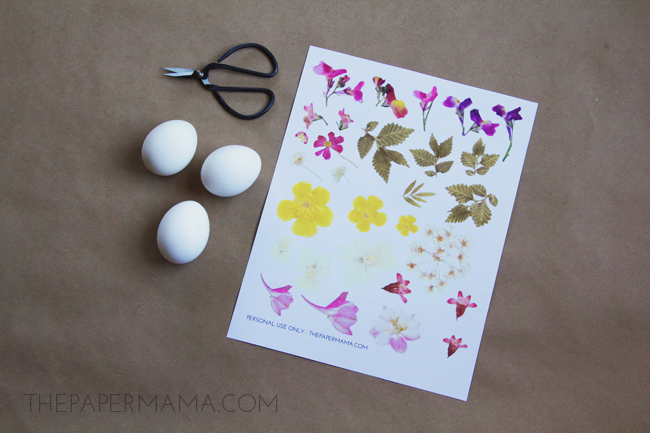 – Print and cut out the pressed flower printout. Optional: spray a light coat of acrylic sealer on the printout. The Mod Podge could make the printout ink bleed and the spray will prevent that. I did not use spray this time. – Cut out the flowers (leaving a little white border around the flower image, or don’t leave a white border… that’s just a lot of work). 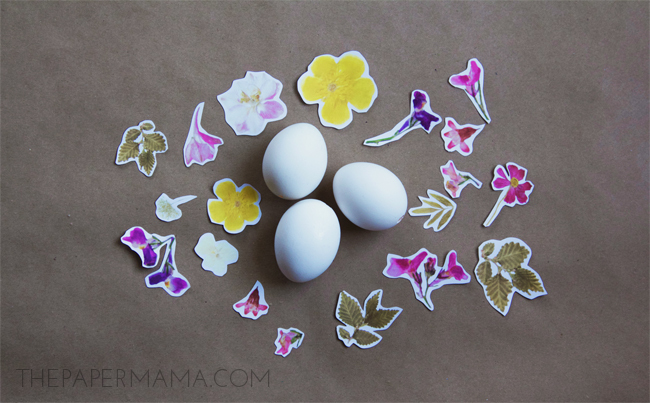 – If you are working with a blown out egg: Put a skewer through the bottom hole in the egg (this makes it easier to mod podge the flowers on). 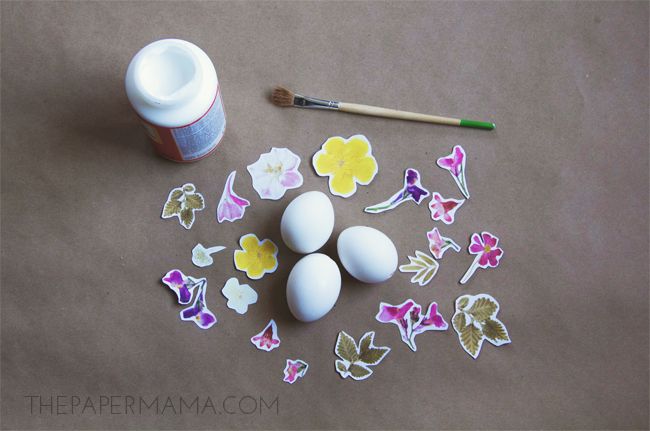 – Brush a light layer of Mod Podge on the back of a flower cutout and press the flower on an egg. 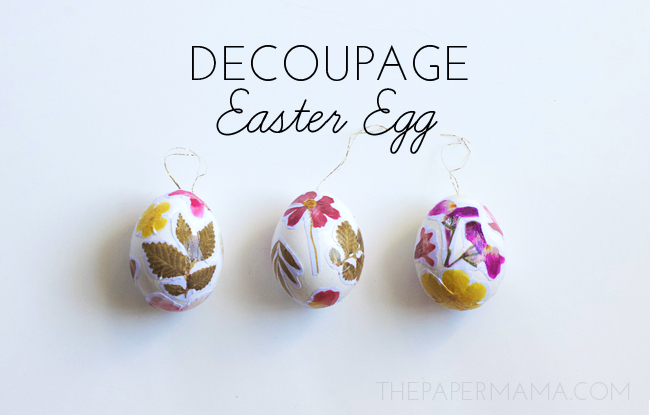 Repeat with as many flowers/leaves you would like on your egg. 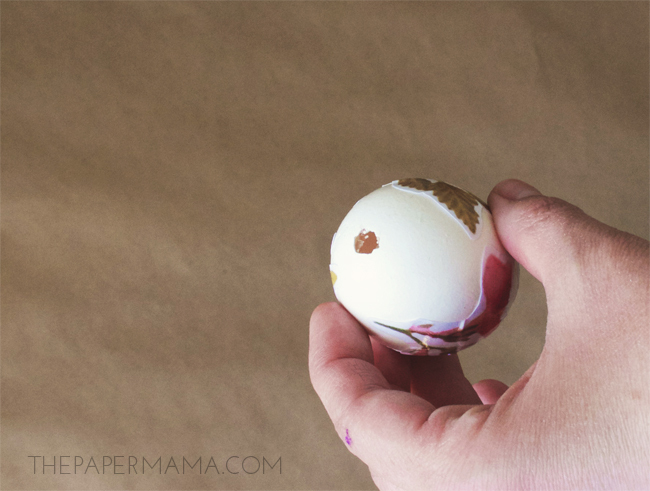 Tip: don’t cover the bottom or top hole of a blown out egg. 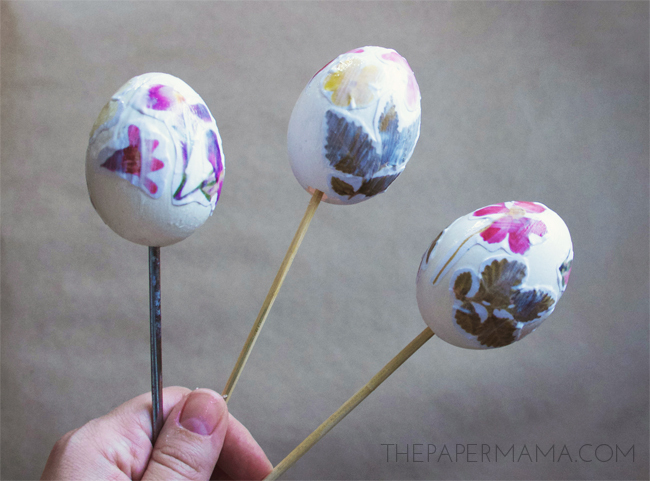 – Brush on a coat of Mod Podge over all the paper flowers on the egg. Let dry overnight. 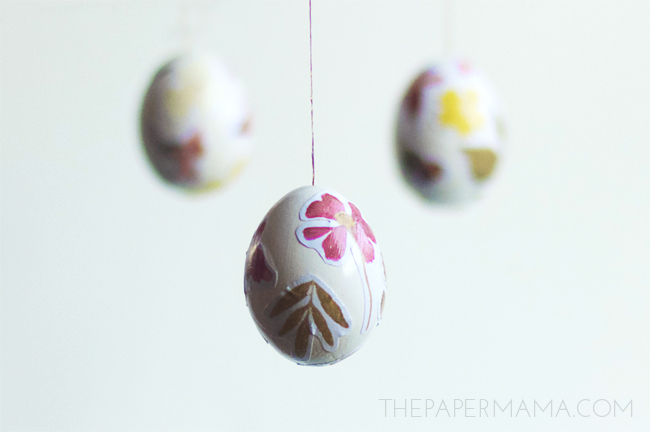 If you’re mod podging flowers on a boiled egg, you’re done here! If you are working with a blown out egg, continue below. – Grab your needle, bead, and thread. With the threaded needle, push it through the top hole of the egg. Jiggle the egg around until the needle falls through the bottom hole. Keep a little thread sticking out the top egg hole. Knot the bead at the bottom portion of the egg. 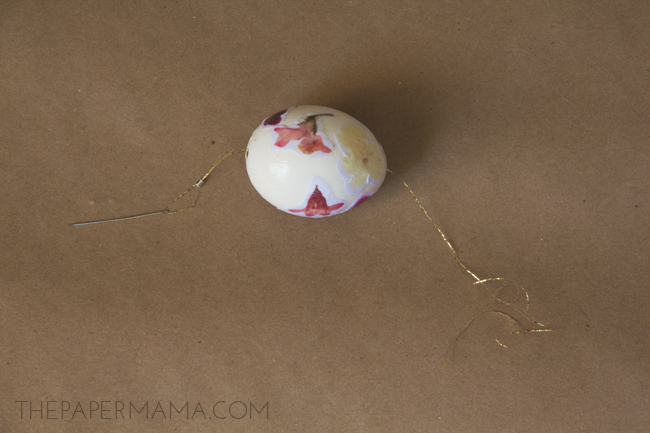 Pull the thread through and tie a loop to hang the egg from. – Now, let’s cover up that bottom hole. 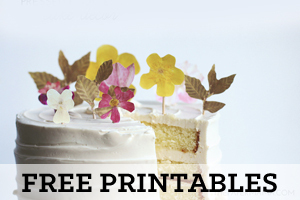 Grab one more flower to mod podge to the bottom. Let the dry for a few hours. 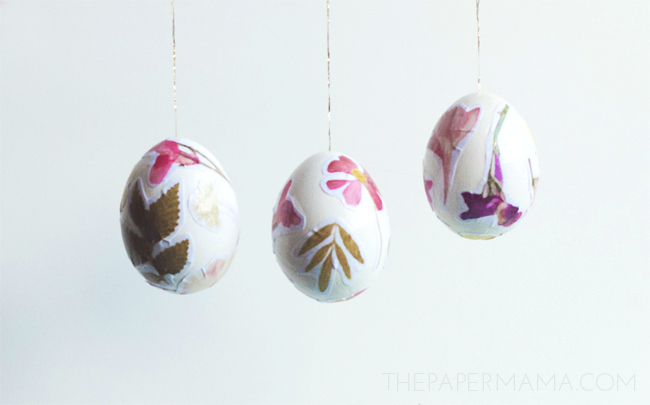 – Hang your egg and enjoy! 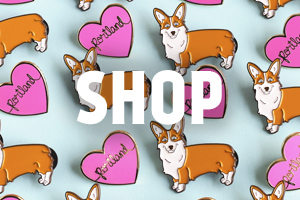 This would also be a cute gift.